You are always welcome at our cottage. We would share tea, you could have coffee if you prefer, and maybe homemade spelt bread with homemade jam! Doesn't that sound delightful? I love the light in the mornings. This oil has such a wonderful scent. I add it to my vacuum cleaner bags before I put the bag in my canister vac. I also turn the vacuum on and drop half a dropper down the wand(?) where the attachments go. This has helped the smell of the vacuum to not smell like dog hair or stink bugs. Plus I love citrus scents, and at the holidays this one "Orange Spice" from "The Old Candle Barn" is perfect. What are you doing on this last day of November? I love the Christmas season - the lights, the trees, the snow, presents, the music. But in all of this fun, I don't want to lose sight of what we are celebrating. I know we may not know when Jesus was actually born, but we love to spend this time focusing on His Coming and the reason He came. So we spend time reading good stories, and talking about Jesus' birth. I put up Nativity sets and our advent calendars always include verses that tell the Story. This year I found another way to focus on the Reason for the season. In the early Autumn I popped into my local Kirkland's. I normally don't go into stores like this because I try not to buy things I really don't need, even if they are cute and would be perfect in my house. You know.This time I spied this painting of the Nativity. It's perfect. I waited and recently they had a deal, so I talked to Tim and bought it! It is about 25" x 38 1/2", just right over my sofa! We traditionally go a cut our Christmas tree the day after Thanksgiving. But, Lindsay was at work and the younger girls had a sleepover at Grandma and Grandpa's. What to do? We went anyway! Emily and Kyle helped us pick a great tree! Isn't it lovely? We all liked it right away! Mr. Red Boots was very pleased with it! Speaking of boots, check out my cute plaid boots from Target! These are the first real snow boots I have ever had...they come in handy for wet, muddy situations, too. Besides, I adore plaid! The tree was cut in a matter of minutes, thanks to my man! My little man loves to help his Daddy...here he is trying to help carry the tree! After the whole afternoon decorating the house and tree...here she is in all her glory, in the morning light...sigh...so beautiful! A bit of tidying this morning and I am basically done. I have a few more things to show you and then I hope to link up to a Christmas Open House or Party. Kimc at Life In A Shoe is hosting a $50 gift certificate give away to Marie Madeline Studios! I love their patterns and fabrics - my girls love their tiered skirts and aprons! Head over now and check it out. What a beautiful day we had here for Thanksgiving. Lots of baby holding took place. Hope your day was filled with family and friends, like ours was. Here is the link to "perfect everytime turkey." It is amazing, and you wake up to such a delightful aroma! You can also use this method if you are eating at dinner time and want to get your turkey in the oven early! 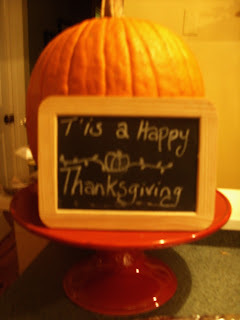 I hope your Thanksgiving is wonderful! We had a great time today at Colonial Williamsburg taking photos of the girls for their senior photos. The free wifi we are using apparently is not photo friendly as it has take a good hour to get these three photos to post! Hopefully I will be able to post more tomorrow when we get home. We are so thankful for this time. I so love it here. I think I could move here, and work for Colonial Williamsburg, perhaps giving tea parties or telling history, giving tours or some such thing. Tomorrow we are taking senior photos for Emily and Chelsea, the weather has been divine...supposed to be 74 degrees here tomorrow. As my camera has again died, I am relying on Lindsay for photos. And as we do not have wifi available (don't want to pay $30) I can't post photos yet. Soon! Just know that the little folk have been in the hottub everyday, we had a lovely time shopping in the historic district today, a great dinner out with Warren, Becky and Ruth, lots of laughs over ice cream at Baskin Robbins (shhhhh, don't tell the kids!). It is so good to have great fellowship. I hope my Momma is reading this post. Did you remember to get my turkey out of the freezer? I hope so! We love and miss you guys! Oh, hip, hip, hip hooray! The sun has got it's hat on and it's coming out to play! Lola from Charlie and Lola. I am going to take advantage of it! Today is the day to put the garden to bed for the winter. Other than that, I have packing to do, and cooking. Such a lovely day on tap here at the cottage. We will be headed south for several days of relaxation, rest and fun! I have shopping to do at John Greenhow's and at Mary Dickinson's. I plan to pick up a new watercolor of Williamsburg to add to the ones we currently have gracing our living room. I hope to get decorating ideas. I plan to enjoy my family. I will share my morning pal with Tim. We get to have a whole week with Tim, he takes Thanksgiving week as a week of vacation! So excited about this time! We are going to take Emily and Chelsea's senior pictures. Lots of great locations to take some awesome shots. The younger folk are looking forward to indoor swimming. Last night Emily was trying to plan a movie night with Chelsea. I said "How about while we are in Williamsburg?" She smiled and said "Oh yeah. That'll work." It came in an email from my sister in law, Esther. Her email was to say that her tests checking for cancer blood markers, while very high prior to her surgery, is now at normal levels! Praise the Lord. "In everything ye are enriched by Him' (1 Corinthians 1:5). The favor of the Father is given to us in His Beloved Son, and in everything we are enriched in Him. If we are not happy it is because we have lost sight of the favor given us in the Lord Jesus. In our foolishness we turn to the world or look into our own hearts, instead of keeping our eyes upon the Lord Jesus, the risen and exalted Man in whom the Father has given us His favor." -C.A.C. We are headed out on Sunday afternoon for a few days in Williamsburg, VA. We love it there. Truly. Love. We are going to get to stay free in a wonderful time share, thanks to a sweet friend. We are going to relax, do a bit of shopping, take some senior pictures. Tomorrow is our last co-op day for this semester. I am ready for a break. I am taking my class to a nice cafe to practice our manners. After I took this photo, I realized that the Arm and Hammer product on my table is not Washing Soda! The stuff in my white bowl is however. I have been having trouble finding it, so I need to do some checking around some local stores rather than 'national' chain stores. However my sweet niece in love is such a good Mama and wife and wanting to manage their family budget well. She is now a stay at home Mom and loves it! Her Cayden is 19 months and so darling... She messaged me and asked for my homemade laundry detergent recipe. Since we were making some today, I thought I would take photos and share the recipe. It is nothing new, many people use this recipe. Every year, my Mom and I take the girls and do a "kick off the holiday season" day out of shopping. This year it isn't going to happen. You see Tim and I are committed to being debt free. We use credit cards but pay them off at the end of the month. This last statement was big, with a capital B! But we had our vacation on it (which was planned for) and new tires for the van. It had several other big needs as well. Because it was big, it ate up the 'discretionary' spending. Now, before you feel too badly for me, know that Sunday afternoon through Wednesday I am getting a basically free trip to Williamsburg! One of my favorite places! And we are going along with our pals from Hospitality Lane!It is going to be so fun! Then home for Thanksgiving with Mom and Dad, Nate and Kay and Kamryn, Tim's brother Dan and family and our friend Denny. We are so blessed. shared her list of authors that have impacted her. So here is my list, basically off the top of my head...it includes fiction and non-fiction authors. I have been enjoying this song on Chris Tomlin's Christmas CD. When I went out to take photos yesterday morning, Sandy saw me and started to call to me. Whinnying, she let me know "Hey, you could come feed me!" I took her hint and headed to the barn. I am so thankful for this building! So nice for the horses and for us to have all their feed (and the chickens feed) in one place and right where we feed them! They eat their grain, they are both on senior feed now, in the barn, and unless it is rainy, we toss their hay into the pasture. Cheyenne gets her hay on the opposite side of the barn from Sandy, as sadly, Sandy being the alpha horse, would eat ALL of the hay if she could. It is time to put the heater into the trough. This will keep the water from freezing. The first year we had the horses we had no heater and every morning that winter we had to break up 3+ inches of ice so the horses could drink water. In the deep part of the winter we would have to do that twice a day! So we really are thankful for the heater! My favorite season is almost over, and we are headed quickly toward my favorite holiday. I try so hard not to skip Thanksgiving. I read somewhere yesterday that someone thinks this time of year should be called "Christgiving." A blend of Christmas and Thanksgiving! This morning was frosty again...the colors are waning, but there still is beauty all around. A few maple leaves still hanging on. I am off today for groceries...Emily is going with me. We haven't had much time together this summer and fall as she was working at the maze and then at a local theater. This on top of doing school work for her senior year. She is a busy girl. I adore her. So we are going out to day and will have some fun while doing our chores! Emily....and answers to your questions.